I aim to bring the Concept of tailor-made and self-designed footwear to the people in India. " Make what you want,don't settle for whats available". 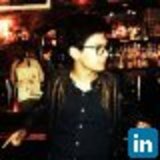 Do You want to chat with Atharva A. Nawade ?